How do you keep ahead when your whole discipline is evolving so fast? How do you get on in your career when the paradigms are shifting every month? How do you learn from others when everyone’s experience seems unique? If there was a single area of global interest that has undergone profound transformation in the space of the last decade or two it has got to be that of climate change. In less than 20 years, we have reached a point where knowledge is advancing on a weekly basis. Along the way there have been debates about the explosion of data; policies of mitigation and adaptation; the political, ethical and moral issues; about the tools and technologies; the redundancy of many ‘models’ of leadership and change agency; and countless case studies have filtered through with profound lessons for all of us in the field. Whatever your interest, keeping up to date with current thinking is almost a full-time task – or else you give up! But change is a constant, as Toffler said. Your career too, will almost certainly have progressed over that time. With seniority, the focus of our work shifts as well, and issues of importance when we were new to the discipline have been left behind as our own impact becomes more strategic. It’s because of this progression of knowledge and the shifting skills needed to navigate effectively through it, that a small group of professionals working around the world, got together nearly 10 years ago, and founded an academic programme that grows from strength-to-strength every year. The Oxford Adaptation Academy, run by the Smith School for Enterprise and the Environment and GCAP – the Global Climate Adaptation Partnership, is a summer school held in Oxford during August. The Academy provides a sanctuary for professionals from all kinds of backgrounds and with widely different interests in the climate adaptation arena to come together. In the extraordinary, stimulating, culturally-rich environment of Oxford, they learn from themselves as well as a panel of contributors selected for their thought-leading insights and approaches. Participants join a network of alumni from over 40 countries drawn from UN organisations, the development banks, NGOs, government and the private sector. This video shows why participants find this course so distinctive and worthwhile: http://tinyurl.com/GCAP-OAA. 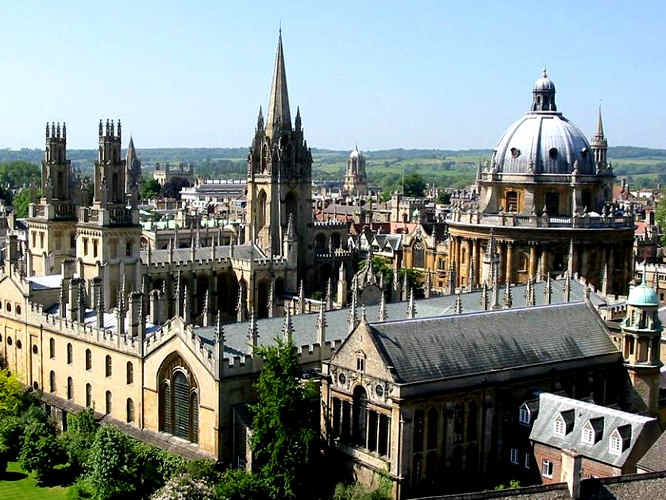 The 2016 SSEE/GCAP Oxford Adaptation Academy is running from August 14th to 26th. Applications are now open and an early bird discount is available until the end of February. Details of the programme, fees, accommodation and application form can be found by visiting the University website or emailing ldowning@climateadaptation.cc.